It is a privilege to have you here! Pull up a seat! Get comfty and plan on staying a while. I’m not sure what you came here with today. But let me assure you, you are not alone in it or with it! Are you carrying a load that is too hard for you to bare alone? Do you feel bruised, broken or crushed in spirit by your circumstances? Have you ever experienced feelings of unworthiness or disqualification? Are you desperate to find meaning and purpose in the midst of the ordinary, chaotic or mundane? 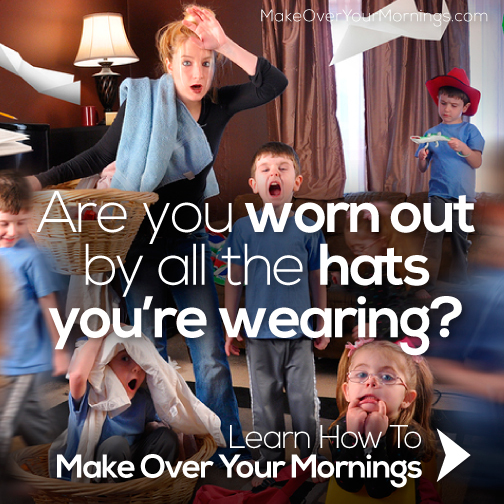 Have you felt stressed out, strung out or overwhelmed lately? Do you ever wonder if “this” is all there is to life? Have you ever found yourself asking where God is in the midst of your mess? If you answered “yes” to any of the above questions, then you are definitely EXACTLY where you need to be! 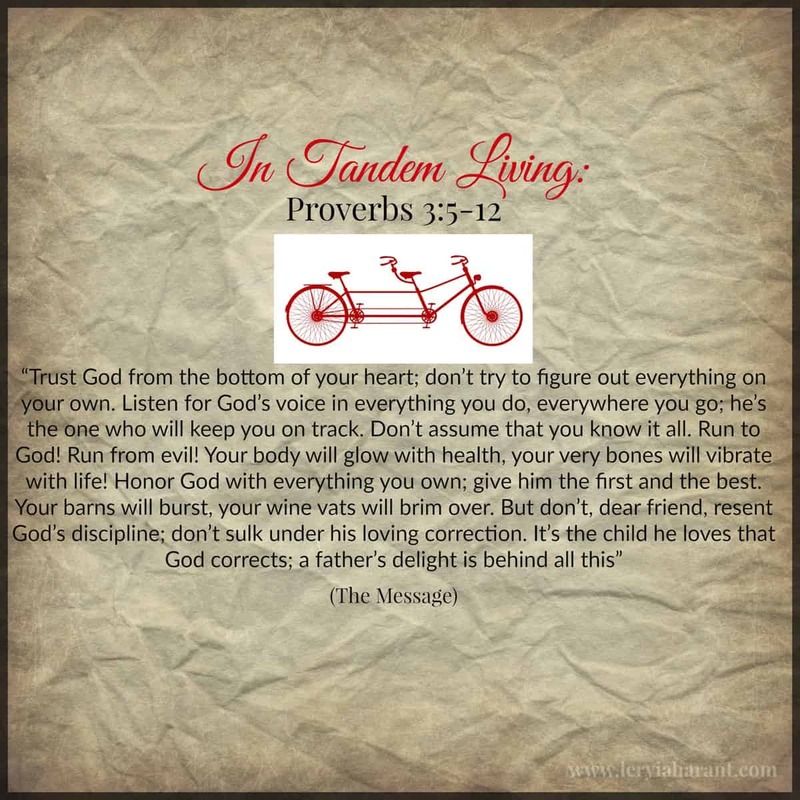 In Tandem is a faith based, Christian lifestyle blog that explores the metaphor that Christian living is like journeying on a tandem bicycle through the high’s, lows, and straightaways of life, with Christ at the helm and Christian community by our side. I am willing to bet that you are here, but not unscathed. Am I right? All our lives are littered with bumps, bruises and detours. Life probably hasn’t gone exactly the way you planned it. No matter what road God has you on, His ultimate desire is that it will lead you to Him. Let me assure you my friend, He wastes nothing. On January 26th, 2014, we found ourselves at the starting line of an unforeseen journey. The road ahead appeared ominous and unclear. We had no guide map. We felt unqualified, ill- equipped, lonely and unprepared. Fear threatened to paralyze our minds, bodies and spirits. This was the beginning of our journey with Glioblastoma brain cancer. The concept of In Tandem living is a direct result of my Mom’s glioblastoma brain cancer diagnosis in January 2014. As cancer was unexpectedly and abruptly injected into our life story; we found ourselves at a pivotal crossroads. We were faced with a choice of how we were going to respond to this heart wrenching reality. Would we allow cancer to define our story or were we going to allow the Lord to take the lead and guide us down the path that He prepared in advance for our family? We intentionally chose to Pray & Pedal On with the Lord at the helm of our journey, controlling the speed and direction of every pedal rotation along the way, while we also pedal in tandem with our community by our side. I want this blog to serve as a personal invitation to be part of a perfectly broken community of Christ following women who come together exactly as they are. I want this space to be a place where we bring our cares, concerns and circumstances to the Lord and to one another. This community is a sacred space where we ditch all the phony! We can take off the “masks” we wear and hide behind in our lives. I invite and encourage you to come sit at the table and risk being vulnerable. This is a space created for women just like YOU. Our little corner of creation is a haven to rest tired bodies, to quiet distracted minds and to find solace for weary souls. I pray the words and conversation you find here will be healing salve for your spirit. Recharge, Refuel, Rediscover, Reinvent, Embrace and TRANSFORM! Do you have an unspoken desire to truly be “seen” and “heard.” This is a place of GRACE. There is NO judgement. We are going to intentionally break down the barriers we put up around our hearts, minds and souls whether for protection or self-preservation. God sees you. We want to see YOU; who HE designed you to be, NOT who society wants you to be! It’s Not “FINE” All the Time & That’s O.K. Enter this safe sanctuary, where you are given permission to not be “fine,” all the time, and to not have it ALL figured out. We are called to hold this sacred space, not in silos, but in community with other women. Allow me and this community to come alongside you on this journey we call life. We will offer one another the gift of presence and encouragement for the TOUGH seasons of life. God created us to live in community with Him but also to live in community with others. Navigating the personal storms and detours of life can be gut wrenchingly HARD. Please know, you don’t have to weather the storm alone. Suffering should not be done in isolation. The Lord desires our suffering to be experienced communally. In Tandem will focus on the “detours” of life and how to help each other navigate these storms well. The desire is not merely to survive but to live and thrive IN the tension, not only in the absence of it. 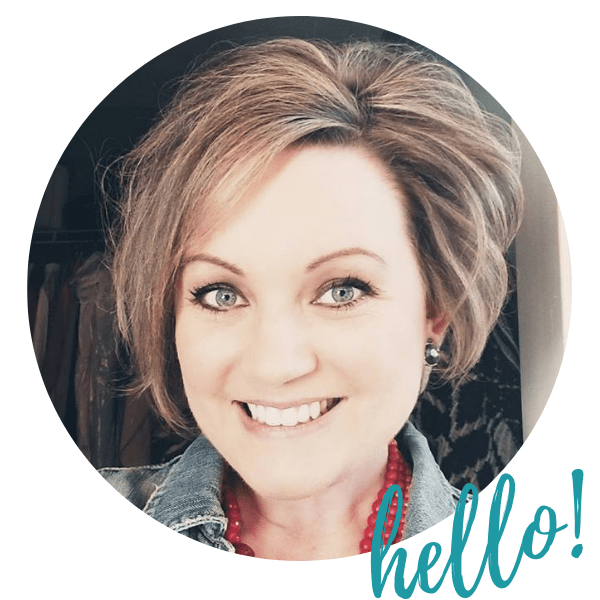 For those of us in a season of heart ache, loss, overwhelm or wandering, this community will help you pedal up the steep inclines and to keep persevering through the deep trenches. Together, we will help one another find personal joy, contentment and richness in any season that you find yourself in. We will take your hand, hold space, meet you where you are and show you where and how to find God in the ordinary moments of everyday life and in the chaos of the challenging circumstances. Our In Tandem community will offer encouragement for your soul and real life solutions to help you harness joy in the journey, embrace the potential and purpose of living in the trenches, and discover ways to find peace in the midst of suffering. We are all on a journey in this life and it is my prayer that we are traveling together towards our eternal home in heaven with our Lord and Savior, Jesus Christ. This life journey is intended to be transformative. We are being molded and shaped with each intentional push of the pedal. Our riding conditions may change day by day or instantaneously. But, the ONE thing that will never change is WHO at the helm of our ride. We are all an imperfect work in progress. God loves us too much to leave us in “that” place of uncertainty, barrenness and unfulfillment. This community will help you move from where you are to where the Lord is calling you to be. Discover what it means to find your true identity, worth and purpose in who Christ is, not in who the world says you should be. Navigate through life’s detours and wilderness seasons with endurance, perseverance, hope and joy. This community exists to give your soul the life support it needs to thrive. This is a place to find encouragement fuel for your weary, paralyzed and suffocated soul. Let’s make the time and room for you to breathe. My sweet friend, you never pedal alone on this journey we call life! Come PRAY & PEDAL ON with me! My name is LeRyiah, just like Mariah (but with an L). Just ignore the crazy spelling. You can probably imagine why I’ve gone through my entire 30 something years, having to repeat my name, spell it, (and then spell it about 6 more times because of that crazy capitol “R” that throws a monkey wrench right into the middle of the existing chaos every.single.time!) Of course everyone wants the deets on the story behind the name. That will have to be a story for another time! I love my Jesus with my whole heart & soul. I am fueled by 100% AMAZING GRACE (and ice cream). My heaven is going to taste like banana splits! I am a passionate ENCOURAGER and LOVER of people. I am obsessed with the written word and have been since I could hold a pencil! I’m pretty geeky like that! I have an eclectic personality! I am a little old fashioned, with a twist of rustic and vintage. Personal stories are my passion and helping you give your story a voice fuels my fire! What’s Up With All the Bicycles? This is, after all, the In Tandem Community! I am head over heels, unapologetically, crazy in LOVE with bicycles. You might say I have a slight obsession (just depends who you ask). I LOVE the idea and look of bicycles! I do NOT love to actually RIDE bicycles. Give me all the cute bike notebooks, bike dish towels, vintage wall art featuring tandem bicycles, stylish bicycle leggings, adorable bike t-shirts, inspiring bicycle coffee mugs (can never have enough of those)…all those things are my jam! If you love those things too, we will be bffs for life! However, hand me a helmet and some spandex, we might have to reconsider our friendship! I spent the better part of 2 years trying to not only fall in love with my husband, Russ, but with his passion for riding bicycles. Let’s just say I became an expert on just about every bike seat and padded spandex shorts on the market. My love for him endured but the bike riding got the boot! Fifteen years later, my back end has still not recovered! Despite falling out of love with mountain biking, I am still crazy in mad love with my husband. We have been married for thirteen years. There is no one I would rather ride through this life with than him. God is writing a beautiful story with our lives and over the last 15 years, He has added some difficult chapters to our story. However, with each new chapter that God writes, He infuses the pages with the love, grace and mercy we need to endure and persevere together. We are all divinely created and uniquely hand made. My hope is that the time we spend together will give you an opportunity for self-exploration, introspection, prayer and an awakening of your soul. God created each one of us with a unique, inner spark to shine brightly for Him. Your spark is contagious! Together, we will ignite that wildfire stirring in your soul and we will begin sharing the volumes of your story one pedal rotation at a time. There is joy in the journey, my friend. 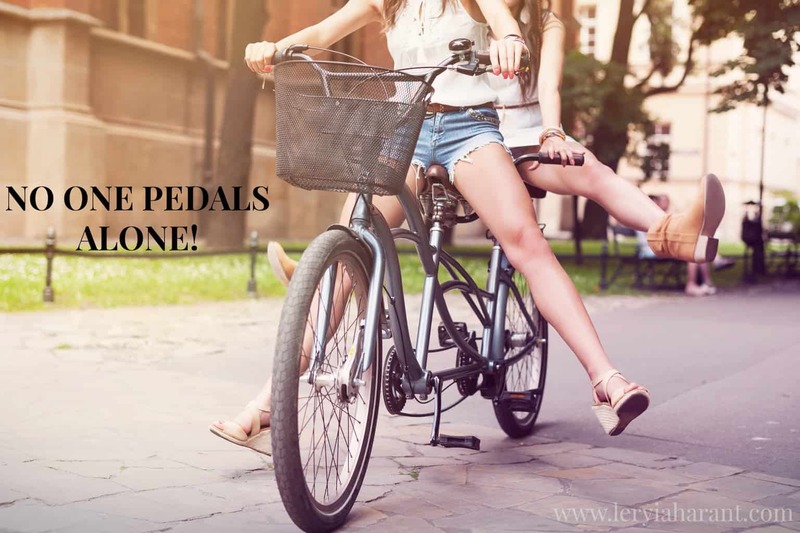 Let’s hop on our bike and start pedaling slowly…IN TANDEM with Christ and one another!